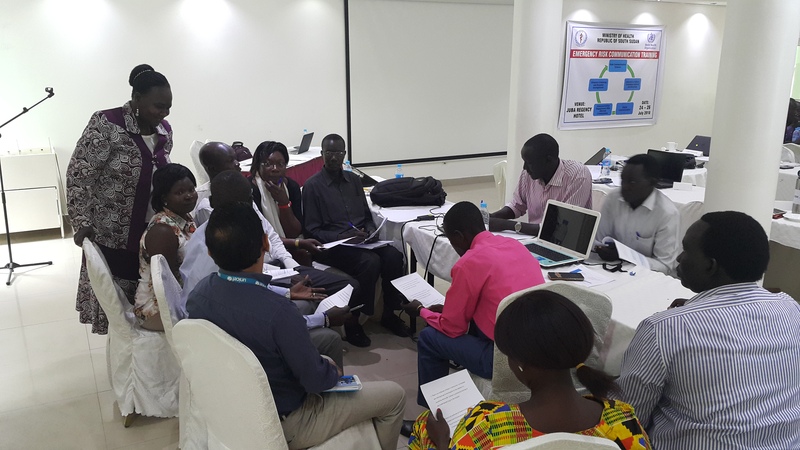 Juba 26 July, 2018 – In an effort to implement the recommendations of the Joint External Evaluation (JEE) for International Health Regulations (2005) conducted in 2017, the Ministry of Health with support from the World Health Organization and other partners developed a roadmap to improve its capacity to prevent, detect, confirm, and rapidly respond to public health risks and emergencies. This includes risk communication which is one the 8 core capacities for mitigating the effects and outcomes of public health events and emergencies. Furthermore, it is one of the five strategies within the pandemic influenza preparedness framework. 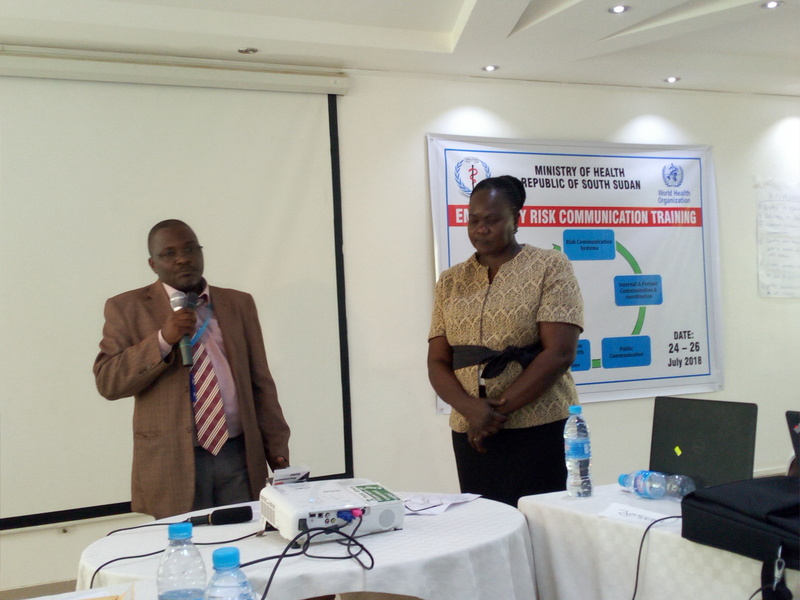 With support from WHO, the first ever risk communication workshop in the context of one health was concluded on 26 July 2018 as part of the activities planned to support the implementation of the JEE recommendations. 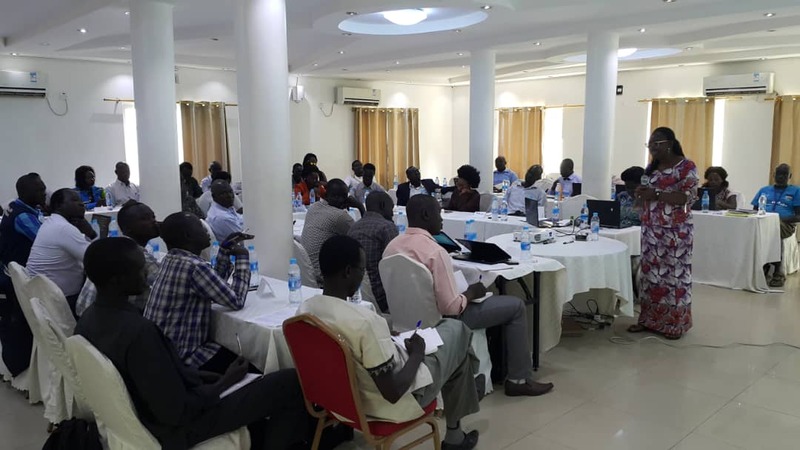 This three-day workshop brought together a multisectoral group of 40 representatives from the Ministry of Health staff at national and sub-national levels, line ministries, UN agencies and implementing partners on risk communication and community engagement. 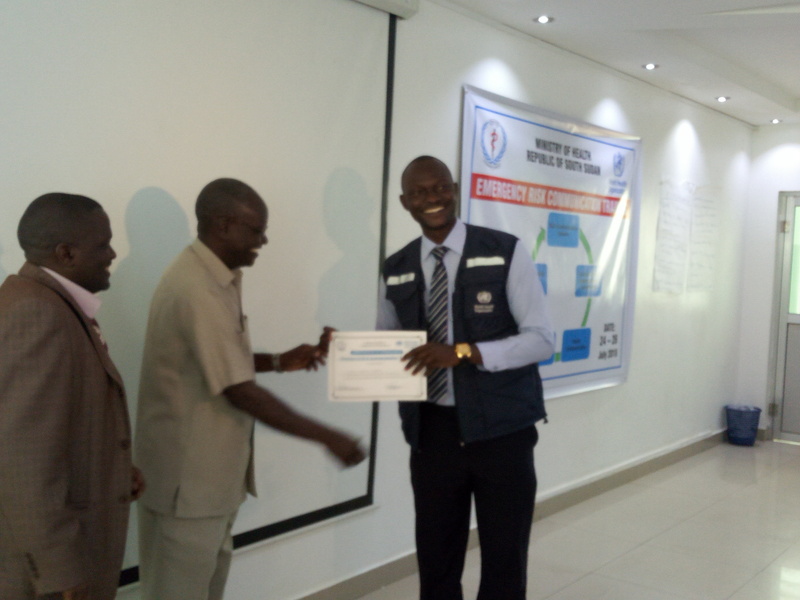 They were equipped with knowledge and practical skills to define risks, identify hazards, assess vulnerabilities and promote community resilience, thereby promoting the capacity to mitigate and cope with any unfolding public health emergency. Dr Atem Nathan the Director General of Primary Health Care representing the Minister of Health underscored the importance of risk communication for timely, and truthful information dissemination based on facts to mitigate and prevent undesirable outcomes. Dr Atem appreciated WHO and other partners for mobilizing resources to strengthen capacities for risk communication and to compliment the under resourced ministry budget. Risk communication is one of the building blocks and yet implementation has been done on ad hoc basis says Dr Moses Mutebi the OIC representing the WHO Representative a.i. for South Sudan. He reiterated that WHO under the emergency program is committed to supporting the government to improve its own capacity to confirm and rapidly respond to public health risk and emergencies in-line with the JEE recommendations. This includes the broader context of Health Promotion to address the social determinants of health. This training will be rolled out to the states who will then be facilitated to develop and implement risk communication plans for the major public health events of international importance as they unfold. A stakeholders mapping is being carried out to review the partners supporting risk communication, their roles and responsibilities, for improved coordination. This is in line with the guidelines provided by the WHO Africa Regional office.